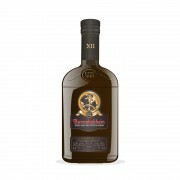 Bunnahabhain distillery was founded in 1881 by William Robertson and the Greenless brothers William and James. Production started in earnest in 1883 and in 1887 the distillery was integrated into Highland Distilleries Company Ltd. Production continued uninterruptedly until 1982 when the distillery was closed for two years. It was reopened in 1984 and in 1999 was acquired by the Edrington Group. In 2003 Bunnahabhain distillery was sold to Burn Stewart Distillers. 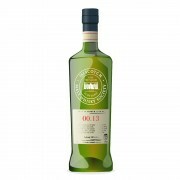 This particular version was distilled on 16 May 1966 and bottled on 19 March 2002 after having been matured in ex-sherry cask #4379. The total outturn was 401 bottles. The nose is rich and lush, starting with sherry notes that are powerful but far from obtrusive. Then there are notes of caramel, prunes and chocolate, followed by just a hint of wood spice. Adding water brings faint honey and lemon flavours to the fore. A multifaceted and rather enticing nose – I am in paradise! The palate is medium-bodied, round and smooth. The notes of prunes and chocolate are back, and the wood spice has become more distinct now. With water, flavours of honey and lemon make another appearance, followed by a hint of white pepper. All in all this is a rather light but spicy palate, albeit beautifully balanced. The finish is of medium length and pleasantly warming. There are now more prunes and chocolate notes, followed by a hint of oranges. I loved this Bunnahabhain, especially the nose (wow! ); however the palate was just a bit too light for me, and although adding water brought forth some new flavours, this actually works best straight, in my humble opinion. An excellent Bunna from the good old times, and just a notch below the 1965/2001 35-year old that I reviewed last week. Neato. So these are single cask OBs? And is the 46.1% cask strength? Single cask OBs? Yes. Cask strength? Yes. Where? Specialist shops and auctions.